..Happy New Year 2019 & Happy Holidays ..
Wishing you and your family have a wonderful holidays. Thank you so much for all your supports throughout the Year 2018. We promise we will continue serving a good food and better services in the coming year 2019. We opens both locations in Downtown Anniston and Gadsden during new year season. "Moo" in Thai, it means pig and "Dang" means red. We call from how it looks like. Thai BBQ Pork is very popular in Thailand. Traditional Moo Dang menus just over on rice or egg noodles. To make Thai BBQ Pork, it takes times. We marinated pork with a special Thai BBQ seasoning overnight which made the pork is very soft and put into the oven with slow baking. Therefore, smell and taste are difference from normal pork. 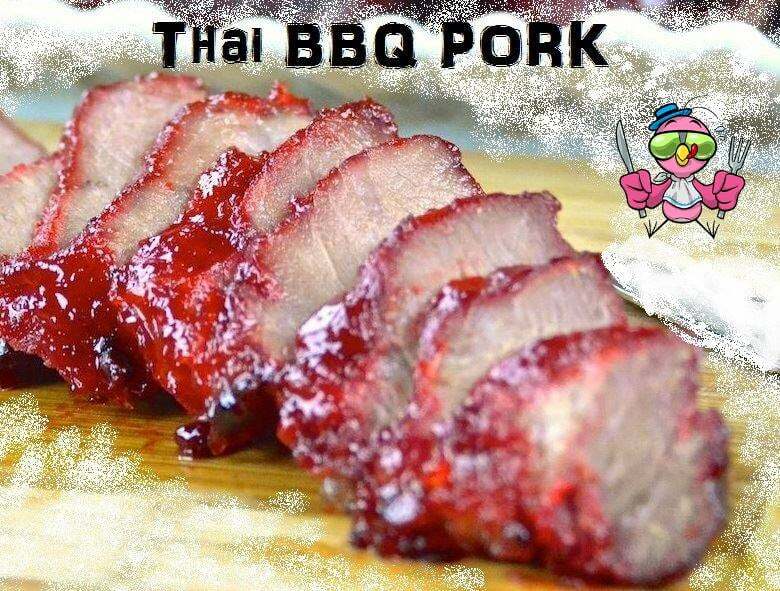 You can add Thai BBQ Pork into any Thai One On menus such as Teriyaki - Thai BBQ Pork, Thai BBQ Pork Peanut Lover, Thai Basil - BBQ Pork and etc..
We have variety of Noodles Soups..You can choose rice noodles, wonton noodles and type of meat; chicken, pork or beef. And also even you can choose soup or no soup. Come to try with an attractive price. Welcome to Thai One On! We’re located at 911 Noble Street in Anniston, Alabama, where we serve up delicious, authentic Thai cuisine and asian fusion dishes. We have something for everyone on our menu, with chicken, beef, pork, shrimp and tofu options to go with our noodles, curry and soup, as well as house specials and entrees. We can make most dishes meat-free for vegetarian guests, and whether you like your food five-alarm spicy or with just a little kick, we can accommodate your preference. Check out our catering options for your special event or meeting, and see our today specials to find out what's new this week. Not hungry? Enjoy a drink at our fully stocked bar and settle into our comfortable, colorful atmosphere. Whatever you're looking for, Thai One On is the restaurant that has it. Thai it, you’ll like it!